I have been away for so long, too long. I have been meaning to write about what have we been up to at Joiè The Makeup Bar, but trust me, we have been so swamped (blessed) with so much work and projects that I just was not in the right mood (think zen) to write. OK, so here I am. Like finally! A little time between the last show and a new project brewing. So many things have happened between the time when I last wrote anything. Our business and services have expanded quite quickly and that is one of the main reasons why I have been so busy. We now produce shows (fashion events), event management, fashion directing and styling, and I have a big team of makeup artists & hairstylists and talent models. It started with doing more and more Fashion shows, where I designed the makeup and hair for the runway models. Brainstorming a lot with clients and designers to get the look they want may mean using unconventional things to get a certain look. I had to train my Makeup Artists to do identical body art for 12 models quickly. Or teaching my hairstylists to paint face paint on models' hair partings. All these have to be done very quickly as the backstage is always fast moving yet we needed to be very precise. So instead of 'boring' you with all the pictures of my work, I leave you with some behind the scenes and of the final product of one of my projects. 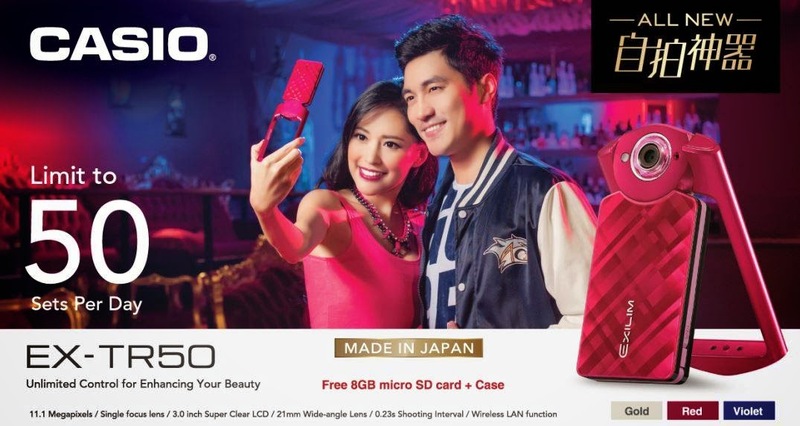 A campaign for Casio Exilim cameras. Models were flown in from Taiwan and that meant I had to prepare the wardrobe without anytime for fitting. It was a great success and achievement to see my work all over pamphlets, newspapers and across the island in Casio stores. Grabbed a quick picture of my main cast after I had done their makeup and hair. This was the first scene where they 'first met' in the club. 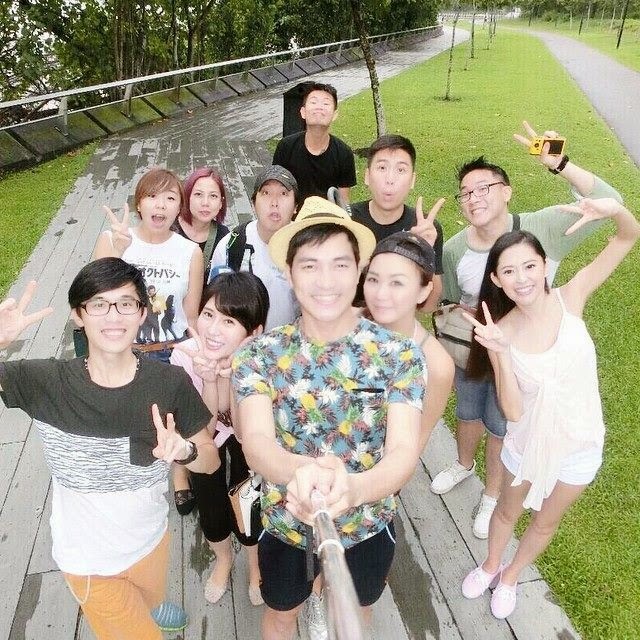 This is the 'it's a wrap' wefie with most of the crew and cast! Though I have been so much busier now with events and show productions, my first love is still makeup. You won't believe how therapeutic it is when I get to do makeup for my clients nowadays. I want to spend more time this year again to do more weddings and teaching makeup! Sorry for the long wait. Please contact us for your appointments and packages. 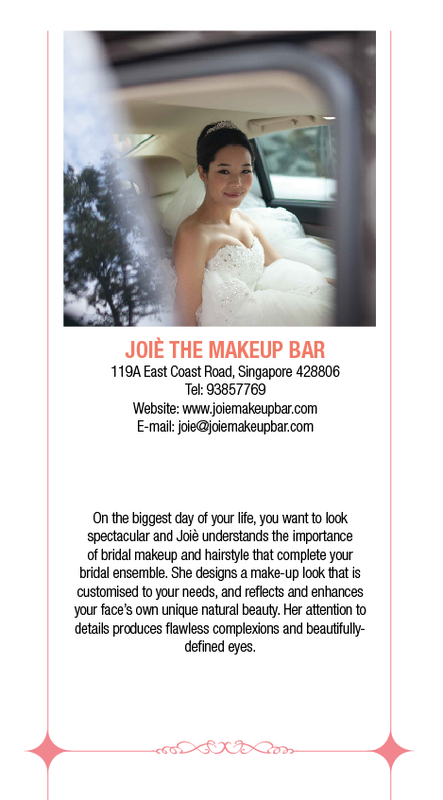 Email : joie@joiemakeupbar.com or call +65 93857769. Follow me on Instagram for updates of my everyday life! Let's stay Hydrated with the latest range from Envie De Neuf for younger-looking skin! It has been awhile since any skincare products have caught my attention. So here, finally I have something to share with you. With well hydrated skin, you get healthy looking skin, which will in turn look younger due to the suppleness and elasticity in the skin. It is also the key to avoiding common skin woes such as skin rash (from over-drying) and pimples! More importantly when I am doing makeup for my clients & brides, I want to make sure that the skin is well hydrated prior to the makeup session so that the makeup will look flawless and last throughout the day. So all the talk about hydration. What is the one range that promises hydration? Take a look at the latest range from Envie De Neuf called Eau My Beauty. Why do I like this? Simply because it is simple. Only 3 steps to perfectly hydrated skin, for both morning and evening skincare application. In our hot and humid climate, we sometimes think we do not need any moisturizer since our face sometimes get oily quickly. This is untrue! Hydration is important whether you have oily, dry, combination or healthy skin. Besides keeping hydrated with drinking water, we need to keep our skin hydrated too. Well hydrated skin is the very first step to healthy skin. I cannot stop stressing this to all my clients and friends. So most importantly is to find a hydrating moisturizer that does not make your skin feel greasy after application, yet able to lock in water to keep skin looking supple. We all know about looking at water-based products. Do you know what else is important for me? For a person who has the most sensitive skin around, I only use products that are as simple and botanical as possible. Here are the 3 items you would probably only need for a full skincare regime, morning and evening. Apply this watery gel essence after cleansing. Recommended to pump 2-3 times of this Aqua Gel on a cotton pad and apply on face. I prefer to apply it with my fingertips though. Upon application, the gel will turn into a very watery liquid that quickly absorbs into the skin. This gel helps to re-balance the hydration level of the skin and keeps it moist longer as it deeply penetrates in its watery form. I know many people avoid using any eye treatment product mainly due to the fear of milia seeds forming or sheer laziness. Good news for those who have not found the right product, with the correct gel texture and the promise of no oily bumps forming. For those who are lazy, PLEASE START! I have been using Envie De Neuf DNA eye serum and it has worked so well for me. However, I do have people who have told me they prefer the eye treatment to have a more 'solid' feel to it than serum. 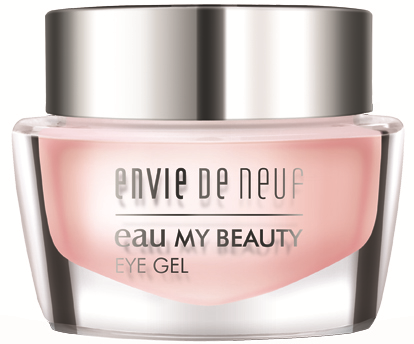 This Eye gel is lightweight yet does give you the suppleness you want in gel form products. The best attraction I must say is the Brightening and hydrating benefits. It leaves you eye supple, lessen the puffiness and melts away your laugh lines to create a youthful appearance. I especially love the refreshing sensation immediately with application. I now alternate between the DNA eye serum and this eye gel, especially in the day before my makeup. So I've heard you. You avoid moisturizer because it feels like you have a layer of paste on or it makes you look so greasy. Here comes the lightest weight moisturizer for you, in serum form! As it is a serum, this allows it to penetrate and absorb deeper into your skin to reap its benefits. Just 2-3 pumps and apply with your fingers on face and neck. "Specially formulated with multiple hydrating actives as low- weight molecular Sodium Hyaluronate, extracts Hydrolyzed Adansonia Digitata, Salicornia Herbacea, Saccharide Isomerate, PolyglutamicAcid and potent moisturizing complex of Ceramides and Phytosphingosine to maintain skin’s ideal moisture level, this serum provides speedy supply of moisture and long-lasting nourishment into the skin to regulate and soften skin texture. Your skin is restored and infused with fresh hydration all day." Prices start from $85 for the Aqua Gel to $128. 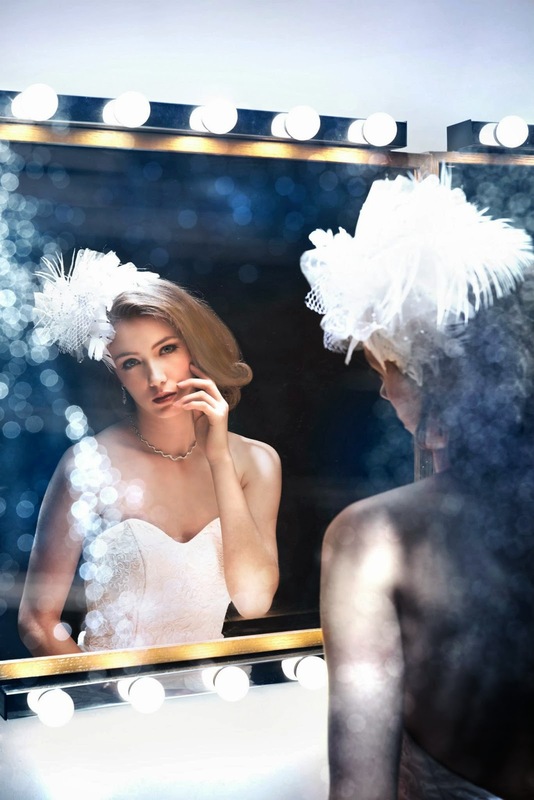 Blissful Brides Magazine beauty spread, Vintage Allure. My latest works are featured in Blissful Brides Magazine Issue 19, Jan-Jun 2014. I am especially pleased with the beauty spread as I love Vintage looks (and things) and I am happy to be able to create 3 bridal looks for the beauty spread theme of Vintage Allure. Especially great for brides who want to try something vintage classy yet contemporary for her evening party. Pictures by Edwin Tan of Lumina. Hair : Eventhough model has long hair. I wanted her to appear to have hair that stops at the nape. Giving her hair big waves all around, I pinned in her hair to make it look full and shorter. A white feathery hair piece is perfect to give this an even more vintage effect. A nice birdcage veil is another great choice. The look is Sensual innocence. We want her to look comfortable in being luscious and sensuous with a touch of innocence. That really makes a woman the most beautiful. I used lilac and mauve for the eyes to create the very soft smoky effect while tilting the ends of her faux lashes downwards. Peach colored blush to enhance her glow & a mixture of mauve pink lip colors to complete. Hair : Add a twist to a loose updo, literally. Curling the front of the model's hair to create a huge twirl gives this loose swept updo a less contemporary yet softer look. I decided not to use any hair piece with this style. Makeup : Peach eyeshadow to brighten the entire eye socket and dark brown for the entire eyelid to define the eyes. Smudging out the brown eyeliner to define the eyes without being too harsh. Lips were stained with a Sienna color and finished with a touch of lip gloss. Hair : Taking advantage of the model's long hair, I curled her hair with a big barrel tong taking care not to separate the curls too much. Unlike the more tousled styles I usually do for more contemporary looks and for myself, this style requires the curls to be more 'structured' and uniformed yet I have to make sure it looks soft, shiny and not hairsprayed stiff. The black hairpiece helps to give her that glamorous evening look. Makeup : Gold, bronze and charcoal grey eye colors were blended for that mysterious and seductive look. Strong wing tipped eyeliner defines the eyes and gives a slight 1920's flapper look. Fuller lashes creates that fluttery effect. A mix of sable & caramel blush colors were used to contour her cheeks. I created a beauty mark above her cheek to add a touch of playfulness. An intense bluish red lip colour completes our modern mix vintage seductress. Joiè only serves one bridal client per day, so as to ensure undivided attention is given to the bride on her special day. As such, our appointments do get booked very quickly. We are not able to hold any dates without confirmation with booking procedures. If you would like to find out more about our wedding packages, please send your enquiries along with your wedding date to joie@joiemakeupbar.com. Our appointments for the 1st quarter of 2014 is almost full, please contact us soon to avoid any disappointment. Happy Lunar New Year to all my friends celebrating the Chinese New Year! 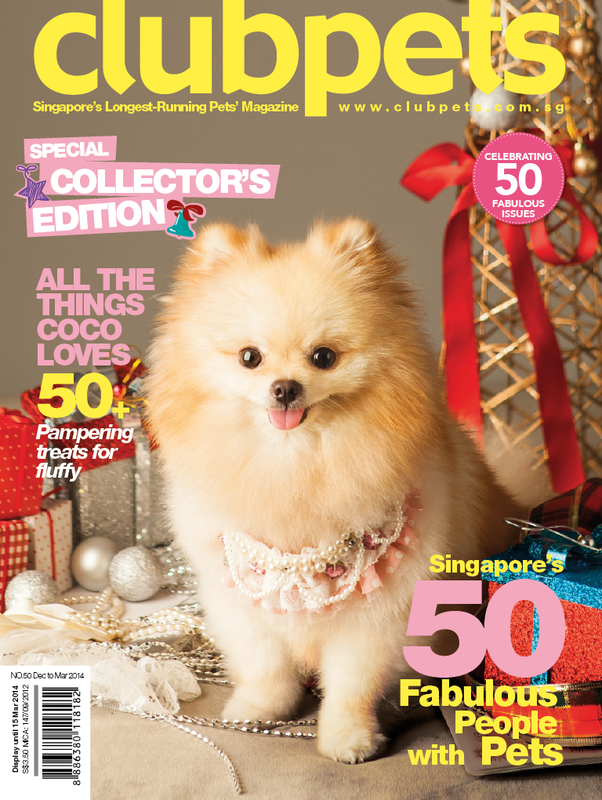 As with my last post, I mentioned I have had the pleasure of being part of Clubpets' 50th Issue big bash where they feature Singapore's 50 Fabulous people with pets. 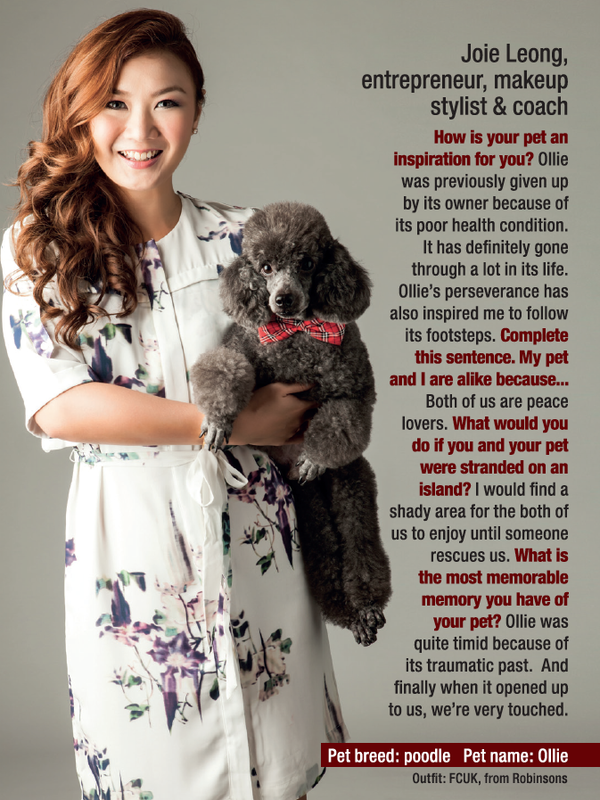 Ollie and I were featured alongside local familiar names and their pets such as artistes Darryl Yong, Nick Shen, Zen Chong, Mindee Chong. Radio djs Yasminne Cheng , Lin Peifen, Glenn Ong, Jean Danker & Vernon A (co-host of The Muttons), Love, Bonito's Viola Tan and many fabulous others. This is the other cover, featuring Romeo Tan. 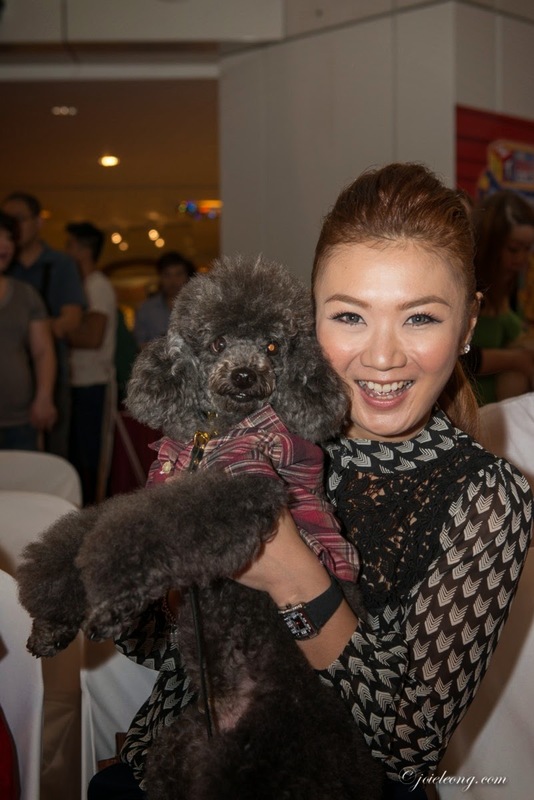 There was a big party called Paw In Style to celebrate the 50th Issue at United Square on 28-29 Dec 2013. 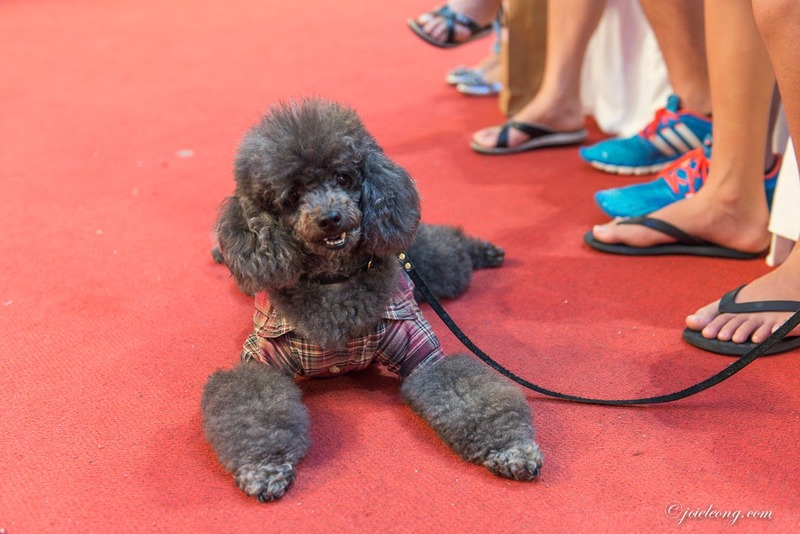 There was a myriad of activities ranging from Dog Idol competition, dog fashion show and contests for children. More importantly, there were adoption drives and talks to educate and promote pet adoption by Mutts & Mittens and Causes for Animals. Ollie & I were delighted to be invited to attend the 'Meet & Greet' session where we got to mingle with people and their pets. Ollie looks super fluffy in these pictures not because he has put on any weight, it is all FUR as he could not get an appointment with his stylist before this event. :) There are some who prefer him fluffy and I personally prefer him with his poodle cut. What do you think? Having a 'chat' with the crowd. There was a Photo booth where guests could get their pictures taken with loads of props provided. We had 4 shots and these were printed instantly for us to bring home. Pictures can also be found on their website should you (like myself) like to save them on your computer. 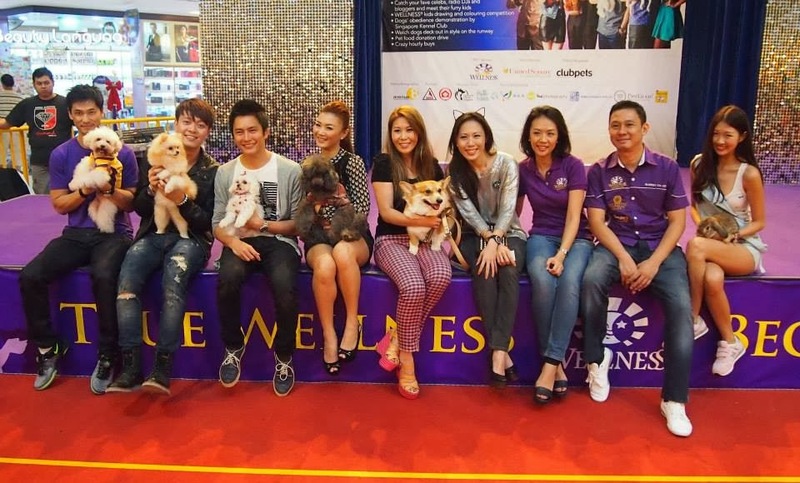 The cool peeps from Wellness had a chat with me about my concerns regarding Ollie's strict diet. Ollie has many food allergies so I prefer to make all his meals. 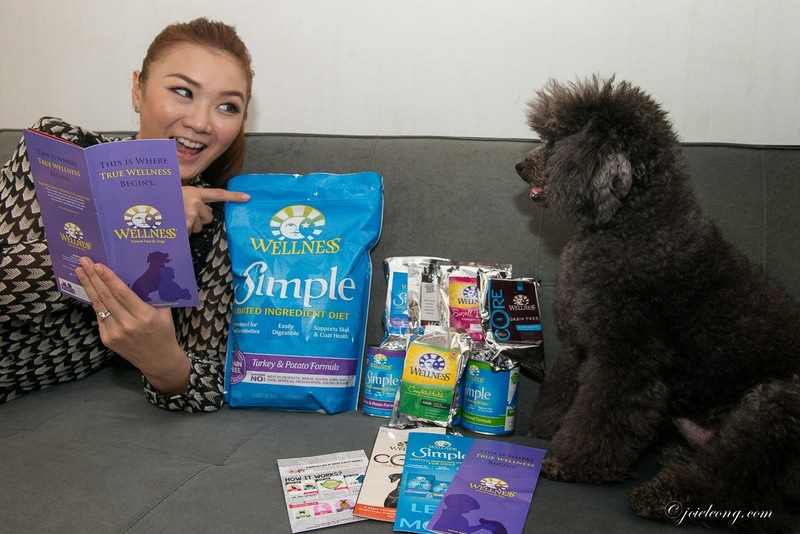 I was told that there is a very simple Veterinary approved diet from Wellness called Simple. This formula comes in kibbles and canned food. 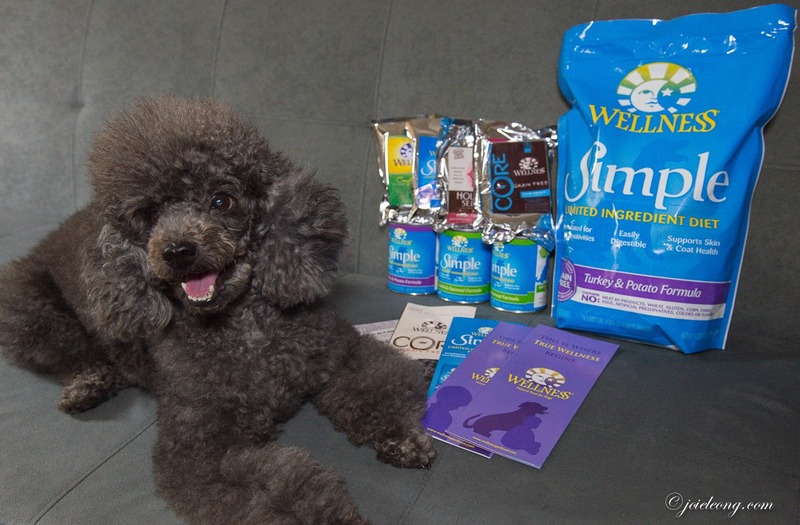 We went home with a huge bag of Simple diet for Ollie, compliments of Wellness. Thank you! I am reading to Ollie about his new diet and making sure all the ingredients are nothing but for the best for him. And I've got a gift too! Thank you Clubpets for the feature! Grab your copy of Clubpets if you haven't! Here is Ollie and I. Magazine Feature on Clubpets Magazine! December is such a cheerful, festive and joyous month. It is the Christmas season. Think cinnamon, green & red, presents and loads of food! It also means the year is coming to an end. I, for one, am looking forward to 2014! Many of you would know by now how much I love animals and of course, my adopted poodle, Ollie. 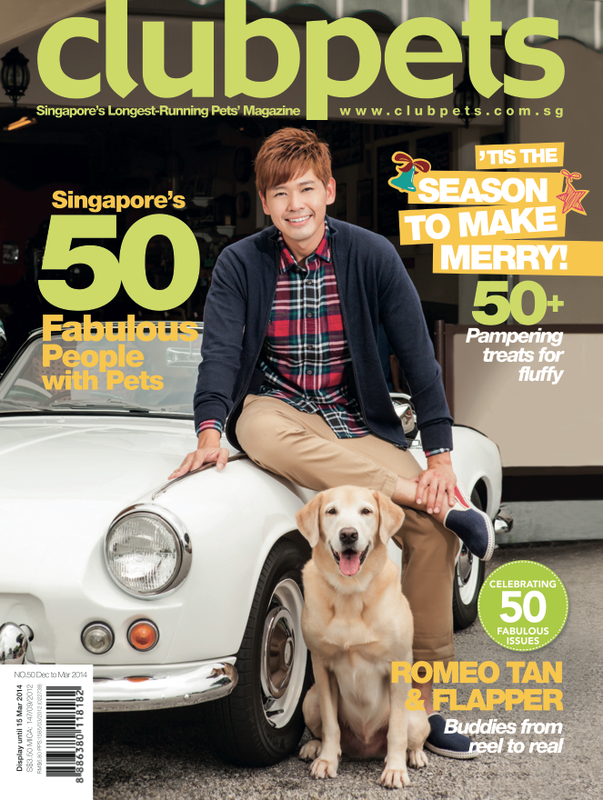 And just before I go off to welcome the New Year, I am so thankful to Clubpets Magazine for inviting me to be part of the 50 Fabulous People with pets to be featured in their 50th issue out this December. Here is just a preview of the shoot shot straight from the computer taken on my Iphone. I have not seen this issue yet, but I am sure it will be AWESOME! Thank you, Clubpets, for having Ollie and I at the shoot! I did my own makeup (but, of course). Outfit, French Connection, provided by the styling team. There is going to be a BIG celebration for their 50th issue. This is going to happen on 28-29 December at United Square. There are going to loads of activities for children and animal lovers! Coloring contest for the children, Dog Idol, Dog fashion show, dog adoption drive, food donation drive, and many more! There are several celebrities, bloggers and animal lovers featured in the 50 Fabulous People feature. 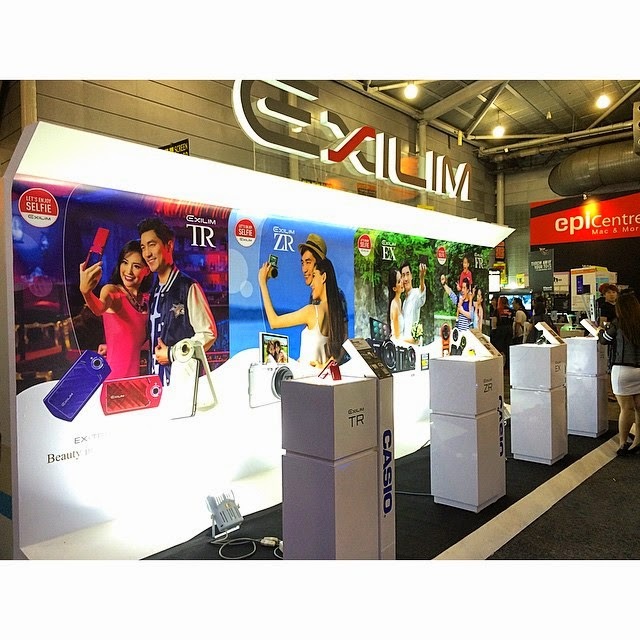 There will be a Meet & Greet Session on both days at 130pm-230pm. I will be there on the 29th December 130pm with Ollie. Find out more from Clubpets facebook page or Joiè The Makeup Bar Facebook Page for event info. Catch you on the 29th Dec at 130pm! So sorry for sharing this so late. I thought I have already posted this Video on my blog earlier but I did not! Joiè The Makeup Bar is 2 today! And we would like to take this opportunity to thank all our friends and clients for the continuous support. 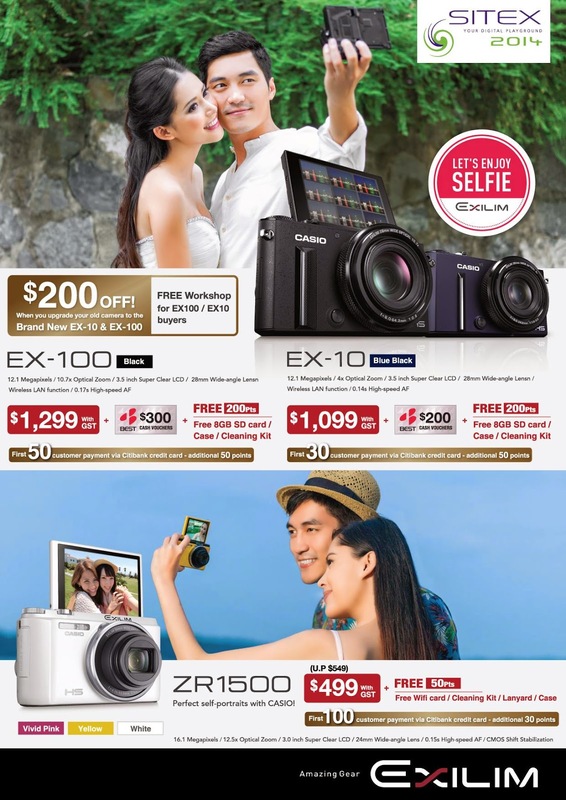 In conjunction with our birthday, we are extending a special birthday promo to brides of 2014. Take $200 off Wedding Makeup & Hairstyling (full wedding styling) & Pre-wedding styling packages (package b &c only). 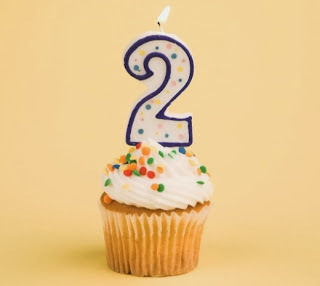 Send your enquiries to joie@joiemakeupbar.com and quote "weare2" to enjoy this promotion. 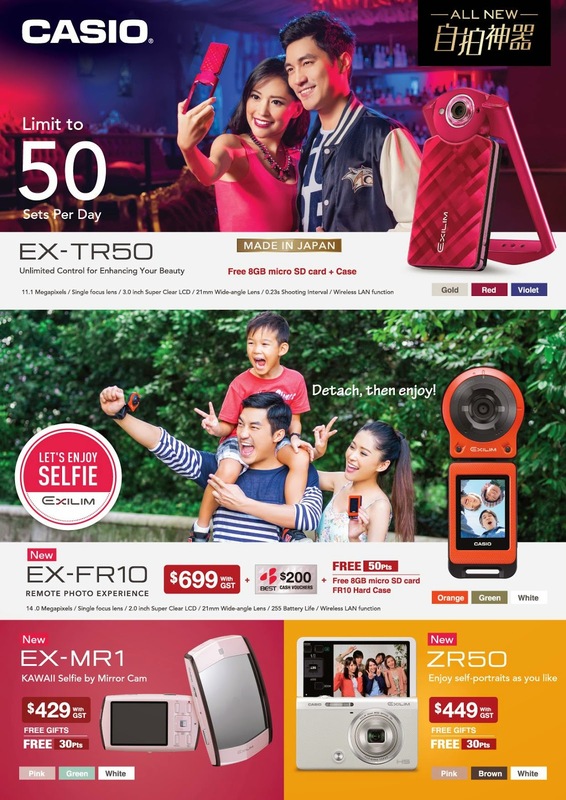 Valid till 14th Dec 2013. Terms & Condtions apply. Entrepreneur, Make-up Stylist, Make-up coach, Fashion Director, Event organizer and Show Producer. Award-winning make-up artist, Joiè Leong, graduated from The School of Make-up (Singapore) with both an Advanced Diploma in Fashion, Stage, Period, Glamour, Photography and Bridal Make-up, and a Certificate of Proficiency in Professional Hairstyling. Joiè enjoys diversity in her work so besides being a popular choice amongst brides when it comes to Wedding makeup & styling ( Pre-Wedding Overseas & local shoots , Wedding day, ROM), she is also a well sought after makeup stylist in the the local fashion, beauty & magazine editorial scene, Best known for her versatility in creating feminine, natural & beautiful blushing brides to sensual smokey-eyes for the more outstanding diva. You can find her work in magazine publications such as Prestige Singapore, Juice Magazine, Swankglossy Indonesia & etc. Joiè has been involved as the support for Ms Earth pageants, musicals, commercials & collaborations with Fashion designers & photographers. Apart from all these, Joiè specialises in coaching individuals in learning how to always look their best in Tailor-made Personal classes, Group classes & corporate workshops. Being a flight attendant for 10 years gave Joiè the opportunity to be introduced to makeup and personal grooming early. Her calm and friendly demeanor puts people at ease, allowing clients to effectively communicate their requests and preferences to her. Blessed with an eye for beauty, fashion and creative ideas, she is also able to bring out her clients' natural beauty to create the best version of them. Her attention to precision and fine details results in clean and well blended colors for a natural and subtle look , to very creative and dramatic designs for editorials and advertisements. Her insatiable appetite for beauty sees her constantly researching and experimenting with new trends in makeup techniques ,which also naturally leads her to try out new makeup and skincare products regularly to review for her clients. Brand ambassador for Envie De Neuf Singapore & Charm Makeup Brushes Singapore. Award- winning Make-up stylist & Coach. 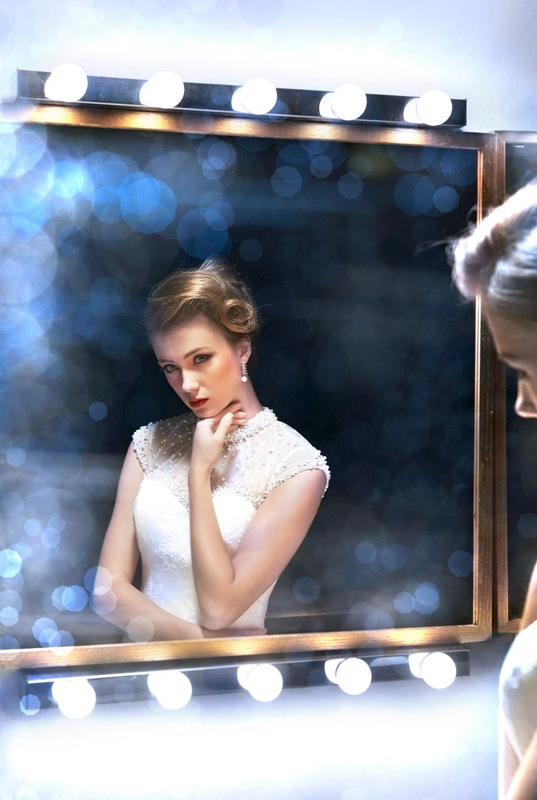 Make-up, Hairstyling, Styling, Coaching & Wedding Co-ordinator. * Fashion * Editorial * TVC * Stage Production * Photography (studio/outdoor) * Pre- Wedding Shoot (indoor/outdoor) * Rom * Wedding * Wedding Entourage (Mothers , bridesmaids, etc) * Special events(gala, dinner, parties etc) * Personal or Corporate Make-up & Grooming lessons/Workshop *Other services, please refer to Partners link. Joiè uses MAC, Make up forever, Lancome.